Following his stunning victory over 17-time Grand Slam champion Roger Federer, Ernests Gulbis is though to the quarter-final stage in Paris for the second time in his career. He will next face Tomas Berdych, whom he holds a 2-4 record against on the professional tour. Gulbis’ last victory against Berdych took place at Wimbledon in 2012. Can he manage another win against the Czech No. 1 at a Grand Slam event? Check out the Berdych vs Gulbis Head to Head. Latvian No. 1 Ernests Gulbis picked up arguably the biggest win of his professional career on Sunday afternoon, when he defeated 2009 champion Roger Federer in five sets to reach the quarter-final round at Roland Garros. It was Federer’s earliest defeat in Paris since 2004, and was Gulbis’ second ever trip to the quarter-final round of the clay court Major championship. Gulbis recovered to win a crucial second set and finished off the match 6-7(5), 7-6(3), 6-2, 4-6, 6-. “It’s the biggest win of my career,” Gulbis told Cedric Pioline in an on-court interview. “Sorry I had to win. I know how everyone likes Roger. It was a tough match but this is sport. I’ve been playing very well in France. I won tournaments in Marseille and Nice, hopefully Paris is the next one. Next for Gulbis is the Czech No. 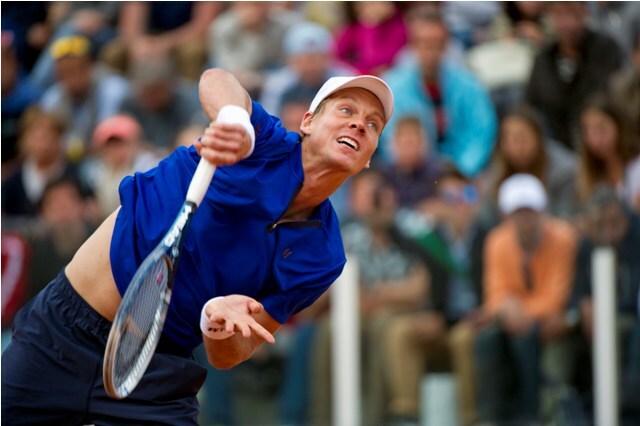 1 Tomas Berdych, who defeated top ranked American John Isner 6-4, 6-4, 6-4 to reach the quarter-final stage in Paris. “That’s something which really helps through all the match, especially with a guy like John,” Berdych explained later. “He likes to stay as close as possible, serving well. I think it’s a good thing to avoid playing the tiebreaks with him. So that was one of my plans in the beginning, and I’m really glad that it was working pretty good. This marks the seventh time these two competitors will meet on the professional tour. While Berdych leads the series 4-2, he is only 1-0 on clay, and that victory took place three years ago in Nice, which is evidently the title Gulbis won last week. Following his remarkable victory over Roger Federer, it is not difficult to imagine Gulbis edging Berdych in a tight 4-5 set match.